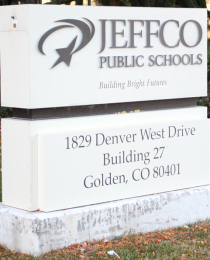 After trying (and failing) to give the pro-reform Jeffco School Board majority heartburn over the past few months, the union is desperate to reignite controversy over A.P. U.S. History. But, it turns out this was just another misstep by JCEA. In case you forgot this ridiculous chapter from 2014, on September 18, Jeffco Schools board member Julie Williams offered a proposal to review Jeffco’s A.P. U.S. History curriculum after hearing concerns that it was missing important historical content. Teachers walked out, closing two high schools. It was later learned the sick-outs had already been scheduled due to union agita over pay for performance. The next meeting, on October 2, the board added students and community members to an existing committee with no curriculum scheduled for review. This issue was put to rest. Until yesterday, that is, when the union broke laws in at least 21 states by giving some love to this corpse of an issue. It started with CBS4 foolishly headlining that “Months after Protests, Jeffco Board Scraps AP US History Curriculum Review” and the story moved through the left-0-sphere. Everyone who followed this story last year is scratching their heads trying to figure out why CBS4‘s Alan Gionet, The Colorado Independent‘s Jon Tomasic, and the Associated Press reported this story like it’s a new story. It’s four months old. Plus, Gionet conveniently forgot that it was proved that the union was behind the protests. There are two possibilities as to why this issue is resurfacing. 1) Either the union is trying to gin up controversy to whet appetites (and grease wallets) for a recall effort, or 2) by highlighting this supposed satisfactory outcome, the union has found a way to gracefully bow out of a fight it couldn’t finish. The word on the street is that the big union bosses paid Colorado a visit and were not pleased with what they found, and, thus, are not funding the union’s grand plans. And maybe the union bosses are right because a funny thing happened on the way to the presses – this stunt pulled by the unions ended up garnering great press for the Jeffco School Board. When Wonkette is praising your enemy, saying “finally some nice time from the war on advanced placement U.S. history!”, you have problems.